You're gonna love Mondays like you never did before. 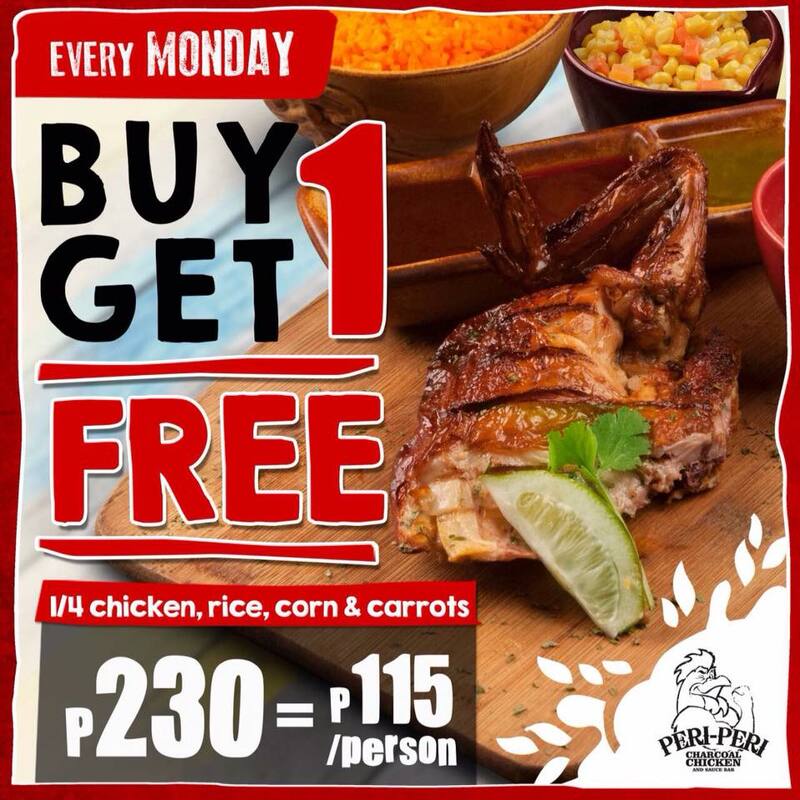 Check out Peri-Peri Chichen's Buy1 Get1 Mondays Promo! 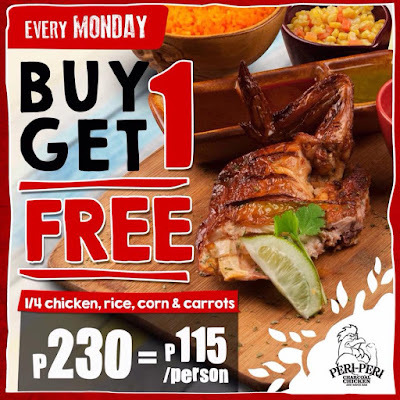 Buy One Get One FREE Chicken Plate (included 1/4 chicken, rice, corn & carrots) on all Mondays of November 2017. This promo is available in all Peri-Peri branches!